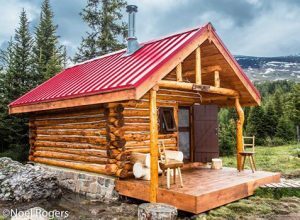 Naiset Hut Restoration | Backcountry Lodges of B.C. Naiset Hut Restoration | Backcountry Lodges of B.C. Mountain history is alive and well at Assiniboine Lodge. Mt. Assiniboine Provincial Park is a place of pristine wilderness with its shimmering lakes, glacier clad mountains and flower-filled alpine meadows. Created in 1922, it is a UNESCO World Heritage Site. Mt. Assiniboine, at an elevation of 3,618 meters, has defined mountain splendour in the Canadian Rockies for over 100 years. 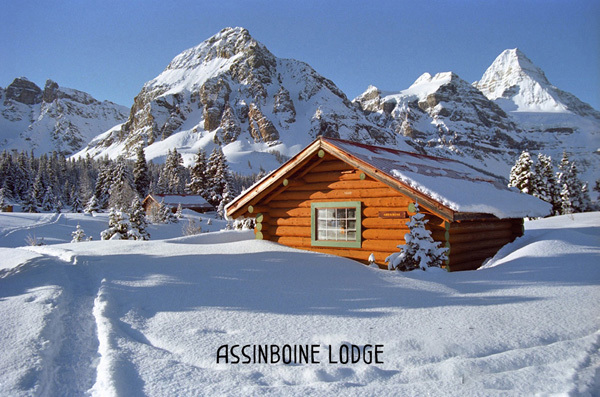 Located within the Park are Assiniboine Lodge, five Naiset Huts, the Hind Hut, and a backcountry campground, all of which are operated by Assiniboine Lodge. The five Naiset Huts were built by the Alpine Club of Canada founder A. O. Wheeler in 1925. Perched on the east shores of Lake Magog and nestled under Naiset Peak, they provide basic overnight shelter for park visitors. In June, the Assiniboine Lodge summer work crew completely restored one of the Naiset Huts—Jonesy Hut. It has a new foundation and vermin proof floor, as well as new perma-chinking between logs, a new roof and porch, and new beds. 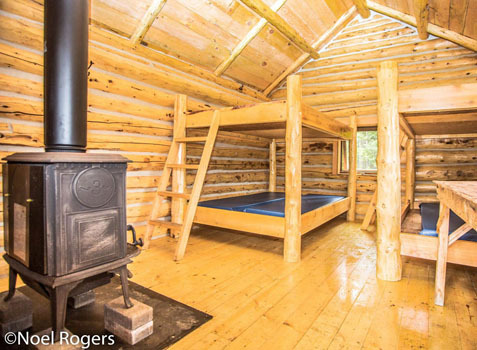 In short, the cabin was taken apart and rebuilt. In order to maintain the original heritage feel of the Hut, old logs were peeled and reused in combination with some new logs. Check out these photos of the ‘new’ Jonesy Hut. We think you’ll agree the construction crew’s hard work paid off. For more information about booking a Naiset Hut, please contact Assiniboine Lodge.